Treating a urinary tract infection as early as possible is the key to fast UTI relief and preventing more serious problems. 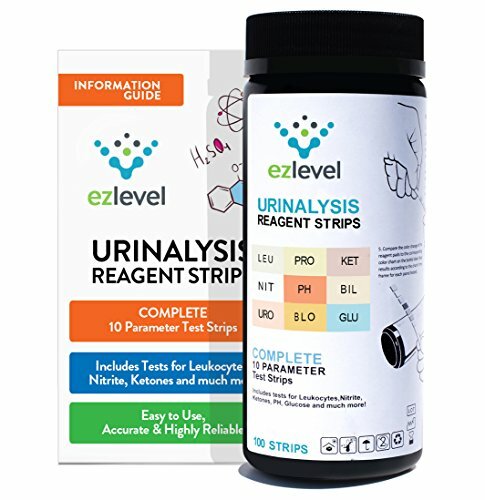 Easy To Use: Just dip the test into urine and read results. Compare the color change of the pads to the color chart on the bottle label. SIMPLE AND EASY TO USE: Includes 100 tests with an easy to follow instructions. FAST AND ACCURATE: Fast UTI detection and relief prevents more serious health problems. VALUE PACK: Get 100 UTI tests for a great price! If you have any questions about this product by EZ Level, contact us by completing and submitting the form below. If you are looking for a specif part number, please include it with your message.